Indeed, for all the aimless academic talk about Fruit of Paradise being a feminist flick, the film certainly portrays the female protagonist as a scatterbrained nitwit of the pedomorphic sort who cannot make up her mind about anything and always seems to find herself in deleterious situations, though I would be lying if I did not admit that the work portrays men in no less of an unflattering light. 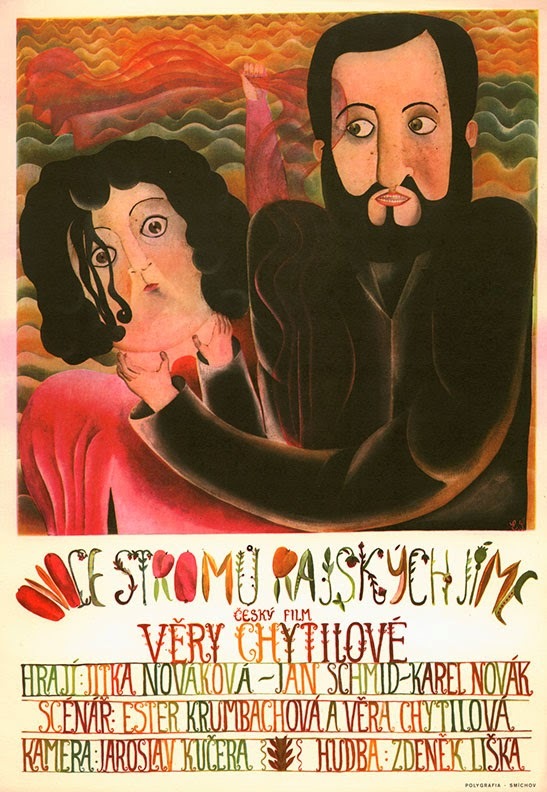 Sort of auteur Vera Chytilová’s cinematic equivalent to Fando y Lis (1968) directed by Alejandro Jodorowsky except all the more aesthetically and thematically intriguing, Fruit of Paradise is a rare work that managed to create a new cinematic language, thus making it all the more of an artistic tragedy that the film was lost for some time and Chytilová’s filmmaking career dissolved right after the film’s release. Of course, like Daisies, Fruit of Paradise features its fair share of Slavic slapstick-like humor, albeit thankfully to a less overwhelming degree. In a somewhat recent interview, Chytilová stated that she created Fruit of Paradise to speak about “the ideological situation of that time” and that the Soviet invasion of Czechoslovakia was metaphorically told via the biblical story of Adam and Eve. In the same interview, Chytilová described how the Czech people had to “live in a lie” and that they were “violently raped.” Of course, the antagonist of Fruit of Paradise, Robert the Devil, is a perennial liar who attempts to seduce, swindle, and slaughter virtually every lady that passes his warped gaze and he does not support a red outfit for nothing as a seductive symbol of communism who is just as charming as he is cold and callous. Aside from its singular aesthetic majesty and totally tasty idiosyncratic and iconoclastic tableaux, Fruit of Paradise also acts as the perfect antidote to the Marxist fanboyism of films produced in countries like West Germany and France at the same time. 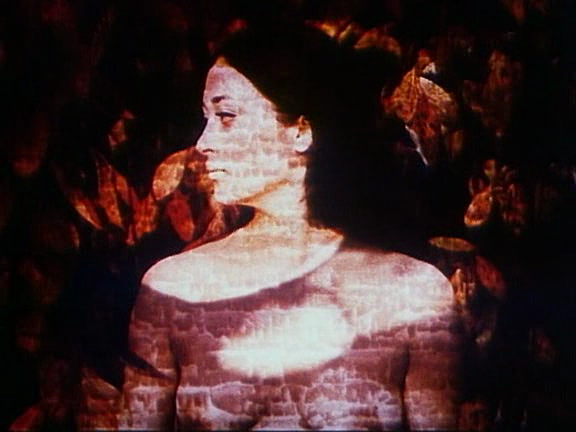 While idealistic idiots like Jean-Luc Godard, Jean-Marie Straub, and Alexander Kluge where fetishizing Marxism from the luxury of spoiled capitalist nations where one could certainly afford to wallow in such utopian far-left ideals, Chytilová had to come up with a creative and cryptic way to express the fact that her nation was being senselessly culturally and socially sodomized by the Soviets. Indeed, I would not be surprised if the lousy reception Fruit of Paradise had at the 1970 Cannes Film Festival was more the result of the critics being offended by the film’s anti-communist message than their inability to comprehend the film. The closest thing to an anti-communist take on Valerie and Her Week of Wonders (1970) and a work that proves that Swiss auteur Daniel Schmid (La Paloma, Shadow of Angels) was not the only European filmmaker of his degenerate generation to make timeless aesthetically-pleasing parables bashing the left, Fruit of Paradise is certainly a lost masterpiece ripe for rediscovering for more discerning cinephiles.